Activists claim Etwariya Devi, 67, a resident of Sonpurwa village in Garhwa district, was also deprived of her pension. Another suspected starvation death linked to glitches in the Aadhaar-based Public Distribution System has come to light in Jharkhand. 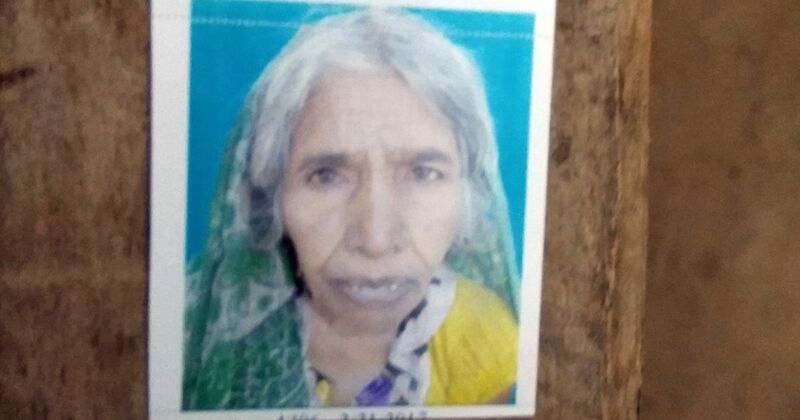 A 67-year-old woman named Etwariya Devi reportedly died of prolonged hunger and exhaustion in Sonpurwa village of Garhwa district’s Majhiaon block on December 25. A fact-finding report released by the non-profit Right to Food Campaign on December 30 claims Etwariya Devi had been denied her monthly food rations under the National Food Security Act since October 2017 despite having a valid “priority household” card. She had also not received her pension under the Indira Gandhi Old Age Pension Scheme since November because of “technical glitches” and poor internet connectivity. To survive, her family had to borrow food and money from their neighbours. It was not enough, though. 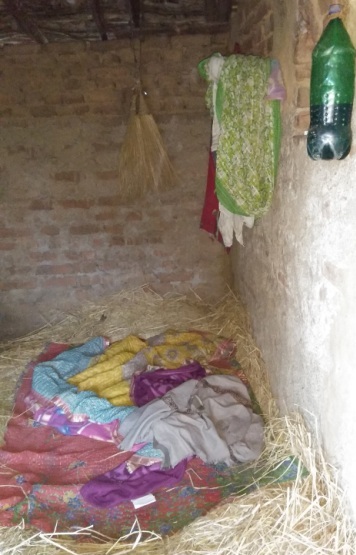 After three months of getting little food, Etwariya Devi reportedly collapsed on her straw bed at 10 am on December 25 and died an hour later. She is survived by a son, his wife and three grandchildren. The report claims block officials persuaded Etwariya Devi’s family to perform her last rites quickly, ensuring that there was no postmortem to ascertain the cause of death. On September 28, Santoshi Kumari, 11, died asking for rice in Simdega district after her family’s ration card was cancelled for not being linked to Aadhaar, a 12-digit biometric-based unique identity number that the government wants every citizen to have. 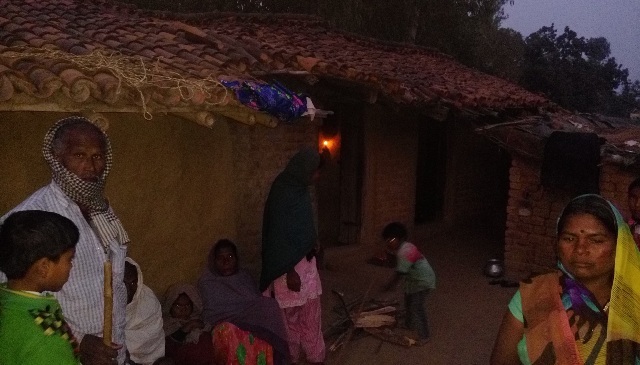 On December 1, Premani Kunwar, 64, died of starvation in Garhwa’s Korta village. She had been denied the subsidised rations for at least a couple of months despite having a valid card, and the Aadhaar-based payments system had redirected her pension to another person’s account without her knowledge. Etwariya Devi belonged to an impoverished, landless family from the backward Lohar caste. Her son Ghura Vishwakarma works as an unskilled migrant labourer in other states, earning around Rs 220 a day. His wife Usha Devi is an unskilled agricultural labourer with an irregular income. Neither have ever worked under the National Rural Employment Guarantee Scheme as Sonpurwa and surrounding villages are yet to see any work done under the programme. While Etwariya Devi’s grandchildren had regular mid-day meals at their local government school, the adults in the family were almost completely dependent on the 25 kg subsidised food rations they are entitled to as a Below Poverty Line household. The fact-finding report claims that on many occasions, the family would eat just rice and salt because they could not afford vegetables, dal, oil, or sugar regularly. According to the report, when Usha Devi went to collect the family’s monthly rations from the local ration dealer in October, the Aadhaar-enabled point of sale machine failed to read her fingerprint. The dealer told her to come back later since the machine was “not taking the load”, but he still recorded in her ration card that she had received 25 kg food grain. When Usha Devi returned a few days later, she was told the ration stock was finished. In November too, the dealer claimed he had no stock. Money was also scarce for the family. Etwariya Devi was entitled to Rs 600 a month as welfare pension, which she used to receive through a Community Service Provider, a local representative of the nearest Grameen Bank branch located more than 7 km from Sonpurwa. Etwariya Devi’s October pension had been credited to her bank account, but the service provider, Anil Chowdhary, made her buy a new account receipt for Rs 360 before allowing her to withdraw her money. In November, Chowdhary told Etwariya Devi her pension had not yet been credited to her account. In December, he made the same claim as the ration dealer – Etwariya Devi could not withdraw her pension because the fingerprint authentication machine was “unable to take the load”. Scroll.in could not contact Chowdhary for a comment, but he told the Right to Food Campaign fact-finding team that his internet connection often went dead in the middle of bank transactions, making it difficult for people to withdraw their money. Through December, Usha Devi managed to borrow 10 kg rice from a neighbour and buy some more from another ration dealer, but with six mouths to feed, it was not enough. The night before Etwariya Devi’s death, the family had to skip dinner because there was no food in the house. Already weak from months of deprivation, the old woman succumbed before she could eat the rice Usha Devi managed to borrow that very morning. Etwariya Devi's house in Sonpurwa. Circle Officer Kamal Kishore, however, insisted that neither the pension nor the rations were amiss in Etwariya Devi’s case. “Her pension was credited to her account on December 4, and the balance amount is Rs 1,233,” he said. “And it is not that the dealer did not give her the rations. Her daughter-in-law did not go to collect it because she did not know when the ration stock came.” Kishore admitted that the biometric authentication machine with the Sonpurwa dealer was not working last month, but claimed that could not have been the problem since dealers have been told to provide rations to people with valid cards even without fingerprint scanning. The denial of rations to Etwariya Devi and hundreds of other families in Jharkhand is rooted in a February 2017 Central government order making biometric Aadhaar identification mandatory for accessing subsidised food grain through the Public Distribution System. Scroll.in’s Identity Project series, though, has shown that even before this order was issued, ration shops in Jharkhand and Rajasthan had been denying rations to vulnerable citizens on the grounds that their ration cards were not linked to Aadhaar. This violates multiple Supreme Court orders issued since 2013, which emphasise that Aadhaar cannot be made compulsory for availing government welfare scheme benefits. In March 2017, Jharkhand Chief Secretary Raj Bala Verma issued an order stating that ration cards not linked to Aadhaar would become “null and void” after April 5, 2017. Orders to this effect were also issued in several districts in the state. Over the next few months, the Right to Food Campaign activist claim, nearly 11 lakh ration cards were cancelled in Jharkhand, affecting nearly 25 lakh people who are otherwise eligible for subsidised food grains. In October 2017, following Santoshi Kumari’s widely-reported starvation death, the Centre instructed all states not to deny rations to people whose ration cards have not been linked to Aadhaar. Jharkhand’s Food and Public Distribution minister also annulled the chief secretary’s order. Despite this, at a public hearing organised by non-profit organisations in Latehar on December 8, scores of residents testified that they were still being denied rations, either because their ration cards were not linked to Aadhaar, or because the biometric authentication system did not work smoothly. A linked problem, Siraj Dutta pointed out, is that under the Aadhar-based system, the state government allots grains to ration dealers on the basis of their online record of sales in the previous month. This means that if a portion of the grain is pilfered from the Public Distribution System in a particular month, ration dealers will get less stock for the next month as the pilfered amount would not reflect in the online records. “In order to balance the online records and the actual ration allotment, ration dealers either tend to fudge their records, give beneficiaries less rations than officially stated, or tell people that they do not have ration stock to sell,” said Dutta, who claims that a large number of people in Jharkhand did not receive their rations in August and September 2017 because of this “quantity fraud”. 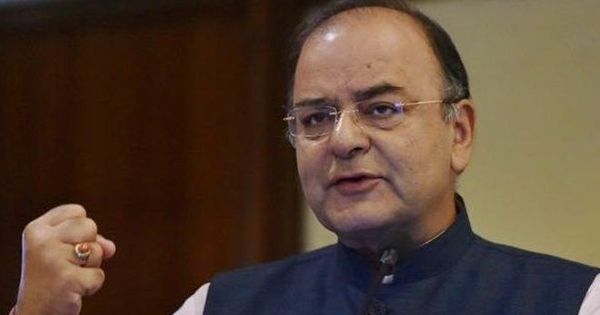 “The government had claimed that introduction of the Aadhaar-based system would curb the leakage of rations from the system, but quantity fraud still goes on unabated,” he said.